Fabulous, fantastic, awesome, magnificent! This program, JUST RUN, is a program that we want all schools in California to embrace because it works. We’re trying to have California kids be healthier because they’ll learn better. This is one of the best years I have ever had in teaching and I attribute it much to your program! Thanks for all you have done this year to help my class achieve all the academic, self-esteem, and physical strength that they have acquired. Thank you so much for this amazing program! We are on our 4th week now at Linden and have a total of 101 runners (not bad for a school of only 502 students). The kids absolutely LOVE the program and the really cool website you have provided. Thanks to you, Linden Elementary is getting fit and healthy. Physical fitness is high on the Governor's priority list, and JUST RUN offers returns beyond simply the physical activity of running. It delivers such positive experiences as team building and the shared experience of preparing for and completing a challenging task. 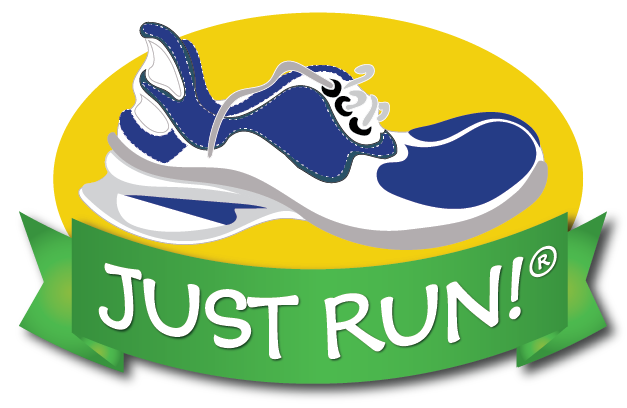 I am pleased and proud to introduce you to the innovative and highly acclaimed JUST RUN program. This youth fitness program is having a tremendous impact in Monterey County. In just a few years JUST RUN has moved impressively ahead of the pack and is our best example of a thriving program by every measure - participants enjoy it, parents and teachers see the benefits, school districts can afford it, and the impact on youth fitness can be measured. JUST RUN staff Mike Dove and Susan Love received the Youth Programs Contributors of the Year at the 2007 annual conference of Running USA, the trade association for the Running Industry. No one is more dedicated to finding ways to improve the fitness and quality of life for America's youth than this team. JUST RUN staff has also been very generous with their ideas and time to mentor other groups who are interested in providing similar programs. The running industry, state of California and physical education programs around the country are lucky to have the energy and resources offered by the JUST RUN staff. I've been involved with children's running programs for over 40 years. I've not found any program that does a better job of organizing the training, empowering children, and making exercise fun - as JUST RUN. Thank you again for such a wonderful program. I know our kids at La Mesa learned so much (as well as I) and so very many of them have gained a love of running and racking up their miles. The website was a wealth of information for me - I was an unsuspecting volunteer for the PE program and very intimidated at the beginning of the year - JUST RUN gave me such a drive to make this program work at each grade level, and a vehicle to make PE not only fun, but provide a solid foundation that the kids will hopefully build on in the future. The reaction to the program has been unbelievable. Students of all ages, as well as the faculty and staff, have been extremely enthusiastic about JUST RUN, and there are no signs of letting up. In fact, the opposite seems to be happening, as participants experience the benefits of physical activity while having fun and a habit of exercising takes hold. Families are reporting the joy of regularly walking or running together and individuals are experiencing pride in their personal accomplishments. While the JUST RUN program is far from over, it has already been an overwhelming success. I do not know about you, but I am seeing amazing growth in all of my STAR test scores, which I attribute to the massive amounts of life-giving oxygen that my kids got from running so much this year. I hope to do a research study on this for a fitness magazine this summer.